A major new restaurant, operated by The Piece Hall Trust and creating over 35 new jobs, will open this August in response to considerable demand. The announcement comes as visitor numbers pass the 2 million mark, smashing original targets set for the first year. The new restaurant, which will be located overlooking the spectacular courtyard, has been made possible thanks to a capital grant from the Leeds City Region Enterprise Partnership (LEP) and a loan from Calderdale Council. All the profits generated by the restaurant and conference suite will be re-invested into the upkeep and cultural programme of this historic building. The destination restaurant will seat over 200 people between the outdoor and indoor spaces and will be open daily from 8am till 11pm. The cuisine will feature the best of local produce and every effort will be made to source as much as possible from the area – from food and drink to the everyday supplies. Even the designers of the kitchen and interior, whilst national operators, have been sourced from the region. 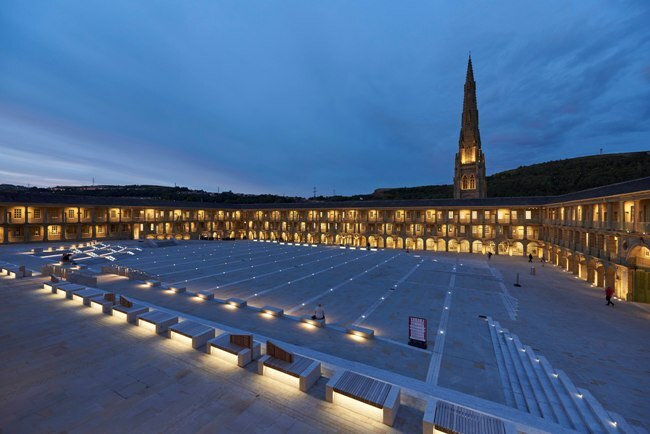 Nick Taylor, commercial director for The Piece Hall Trust, said: “Whilst aiming to be contemporary the feel of the place will be comfortable and fun. Healthy eating will be high on our agenda and there will be something for everyone. To add to this, the demand for conference and function facilities has been so strong that the Trust has also invested in an event space on the top floor (Colonnade level) which will be serviced by the kitchens and team from the new restaurant. With views across the valley, over to Beacon Hill with a glass surrounded balcony, demand for this space is already growing. This new flagship restaurant combined with The Piece Hall’s existing fantastic independent cafes and bars will create a really exciting place to go. With all of these new jobs being created the hunt is on for a great team to work in this exciting new restaurant.